Elise Hernandez 2018 WBE of the Year - ideal System Solutions, Inc.ideal System Solutions, Inc. 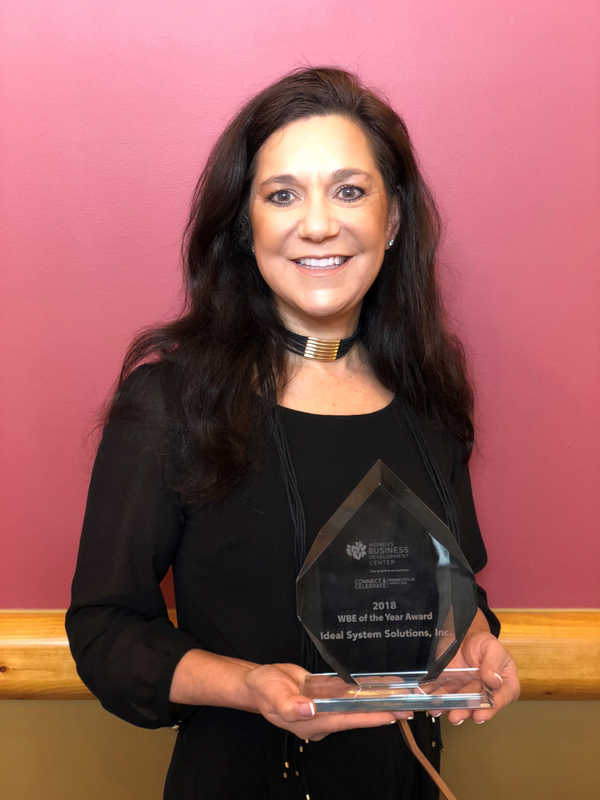 The Women’s Business Development Center (WBDC) has selected Elise Hernandez, President and CEO of Ideal System Solutions, Inc., as the recipient of the 2018 WBE of the Year Award. This award is presented to the visionary woman business owner who recognizes the value of her Women Business Enterprise (WBE) status as a source of pride and a vehicle for successful business growth and development. The award was presented to Ms. Hernandez March 1st during a celebratory reception at WBDC Connect & Celebrate at the University of Minnesota’s McNamara Alumni Center in Minneapolis, MN.